Return to an active lifestyle with regenerative procedures for hip, knee and shoulder pain. Conveniently located in Des Plaines, IL and Chicago, IL. Is cellular orthopedic treatment right for you? We understand how arthritis and joint pain can affect your ability to fully function or enjoy the activities you love most. Our goal is to help patients regain their strength, mobility, and drive to enjoy life to the fullest. To find out how Dr. Sheinkop can help you get back to the activities you love most, call 847-390-7666. To schedule your arthritis consultation today, click here! 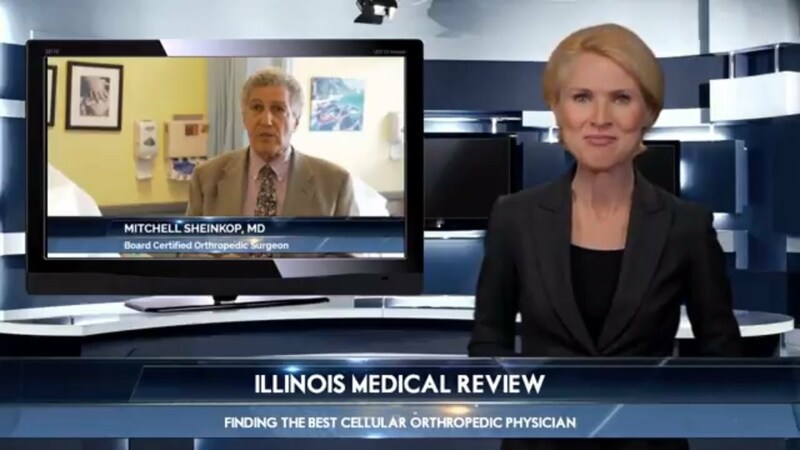 Dr. Sheinkop is a Board-Certified Orthopedic Surgeon in Chicago, IL and Des Plaines, IL. He is also a former director of the joint replacement program and Professor Emeritus at Rush University Medical Center. Recognized for his pioneering use of computer-assisted navigation, minimally-invasive technologies and hip resurfacing techniques, Dr. Sheinkop is one of the leading authorities on the treatment of patients with complex hip and knee disorders. In addition, Dr. Sheinkop is well known for his pioneering use of computer-assisted navigation, minimally-invasive technologies and hip resurfacing techniques. He is a graduate of the Chicago Medical School and did fellowships in pediatric orthopedics and hand surgery. He has done extensive research in the fields of uni-compartmental, minimally invasive solutions, hip resurfacing systems, and navigated arthroplasty. Orthopedic conditions and disorders affect the muscles, ligaments, and joints. They include ailments, injuries, or diseases that cause hip pain, shoulder pain, knee pain, or foot pain. Select a problem area to learn more about the conditions we treat. Many injuries and overuse conditions of the foot and ankle are excellent candidates for non-surgical treatment with regenerative procedures. Many injuries and overuse conditions of the hand and wrist can be successfully treated non-surgically with regenerative procedures.